This stunning one bedroom with home office (could be a small second bedroom) has an amazing location yet is an oasis of tranquility. The apartment features Bosch, Miele and Sub Zero appliances, and a in unit washer and dryer. 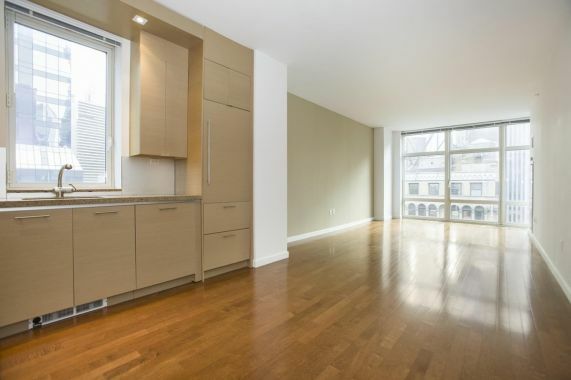 The insulated windows provide a "pin drop" quiet atmosphere while you are in the middle of everything that makes Manhattan living so great. 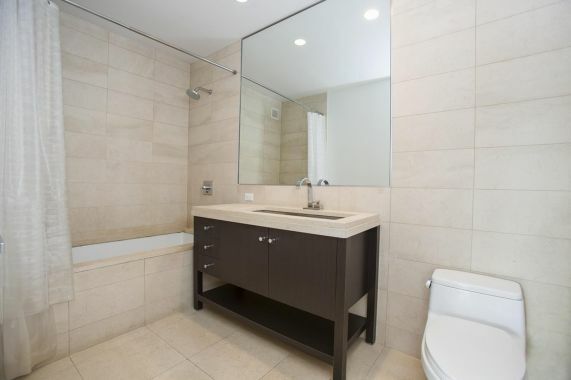 There are hardwood floors throughout the apartment and the bathroom features limestone and a Wenge vanity. The building has all of the amenities of a "5 Star" hotel including a modern fitness center, resident's lounge, roof deck and even a "golf simulator". There is also a 24 doorman, and concierge. This is truly Manhattan living at its finest.